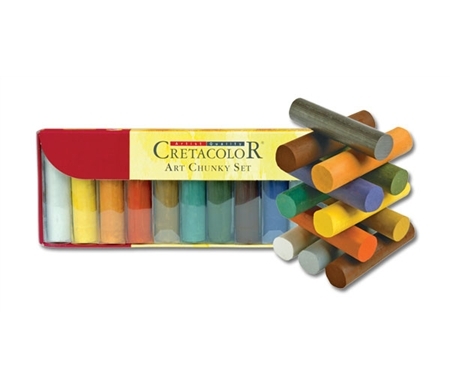 Cretacolor Chunky Charcoal And Graphite is rated 4.8 out of 5 by 4. Rated 5 out of 5 by Wildman from Excellent Consistant Charcoal This is an excellent product for drawing. It is easy to control the amount of value laid down and build up dark areas. Smooth consistency. Not too hard or soft. One of my favorite charcoals. Rated 5 out of 5 by sophie from dark dark dark! I was very pleased with this purchase. these fat little sticks pack a dark bold punch. nice hardness, doesnt crumble easily, great dark black if thats how you prefer your charcoal. it doesnt erase completely so start slow if you dont want to get too dark too fast.